As we were about to drive over the Venetian Causeway, I looked to the south and saw this view. We immediately pulled over, ignoring the "No Parking" sign. We're only going to be here for a minute, and besides, it's a quiet night, I thought. 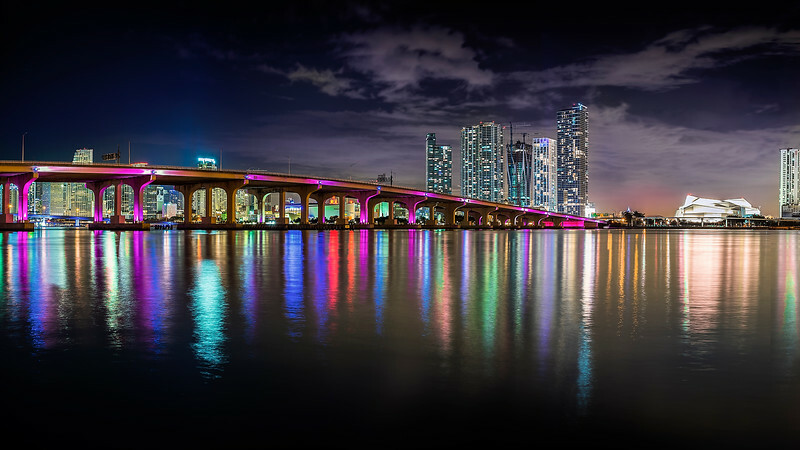 But Miami is mesmerizing at night and each bridge offers up a rainbow of colors. Forty minutes later we made our way back to the car ... and the big score for the evening ... no ticket tucked under the wiper! Beautiful Rainbow of Color on the Water!